It’s time! I know you all have been dying to get this party started and now the moment has arrived! But I want you all to really show your appreciation to HP y Intel for co-sponsoring this incredible giveaway of the HP Pavilion dv6. And I can tell you from first hand experience how much your going to love it! 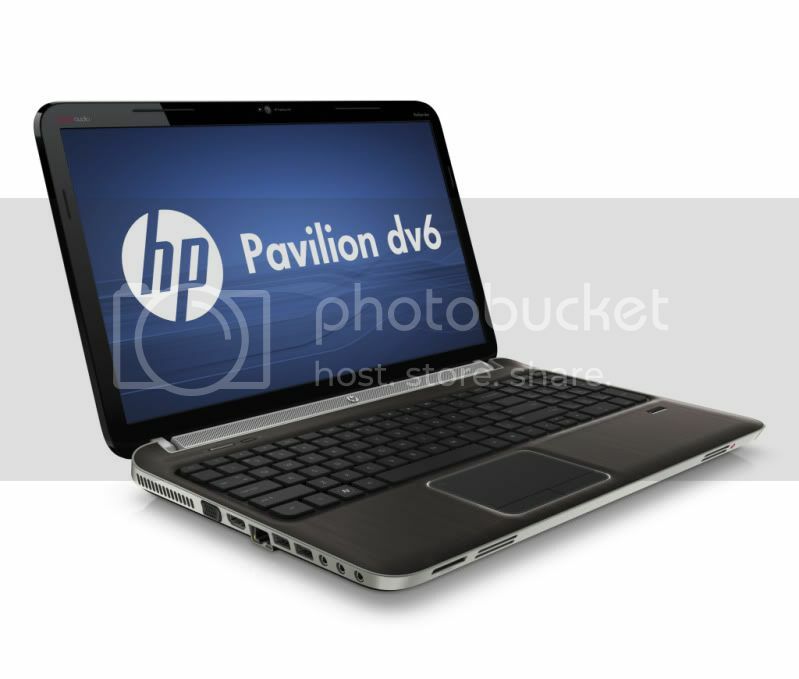 And don’t forget that the HP Pavilion dv6 includes Beats Audio – now with quad speakers (two front speakers and two rear speakers, with rear speakers that tilt up directing the sound straight to me) – giving a full, quality sound to all your audio. It’s actually kind of cool to know that HP worked in collaboration with music industry visionaries Dr. Dre and Jimmy Iovine, so they weren’t messing around with their sound! I really appreciated the sound quality because I have packed away all my other audio equipment to save space and will often play Disney music or some of Shaunsito’s other favorite music on my laptop for our daily dance-off. Yes, it’s quite a sight to see! And when he is tucked into bed I can sneak off to watch the newest episode of Castle or Modern Family (my guilty pleasures) on Hulu. So for our family sound quality is definitely important and much needed.Thanks HP for bringing only the best into our home! Now on to our giveaway! Please be sure to follow the directions for your chance to win an HP Pavilion dv6 from HP y Intel. Good luck and contest ends October 6th, 2011 12:01 AM EST. As a film\video editor I would love to try out the Beats Audio on this laptop. Music and sound is essential to my work. I love the sound quality and that HUGE amount of storage. Wow! What a cool system. My kids would love the sound aspect for it for the videos that they mess with all the time. I love the security features on it. This would be my husband’s laptop and I’m sure he’ll enjoy the quad speakers since he’s a music fan! I’d love the cool sense – sounds like a fabulous option! I would love to win this laptop so that I could try the hp thermal assistant software that allows you to choose your cooling preferences and it adapts when you move your computer from place to place.I like this feature because I have had laptops overheat and shut down so many times before. We will love the Beats Audio! To hear the music, videos or movies/tv on the computer would be a great plus! Absolutely, it is the audio quality that most interests me. I yearn for good quality audio. I had to hook my Bose sound system up to one of my televisions it was so poor. My relatively new desktop? I’m not impressed with that audio either. Sound issues are big…can you hear me? LOL. Seriously though, it makes me crazy. The faster processor, I do two million things at once, I need a computer to keep up with me! We watch a LOT of movies on our computer since we decided to get rid of cable and just do Netflix. The sound quality sounds like the feature we would enjoy the most! I love the fact that it has an Intel i7 Processor. I could really use a laptop with more muscle. That is beautiful! Looks fast and must sound awesome! I like staying in touch with loved ones in my country, for them to see my baby. I really like the webcam that has the Pavilion, and especially to fit the light and produces better images. Nothing is better than see my mom and she sees my little girl even through the computer. Thank you for this giveaway and give us the opportunity to win this wonderful laptop. The high-def LED display will be awesome! I like the 15.6″ diagonal high-definition Brightview LED display. I like the idea of not having to remeber all the passwords. Also a faster pc sounds great! I really appreciate the simple pass because of the security features but my kids would enjoy the true vision web cam to talk to our family in maryland and d.c. I most like the fast processor and the high quality sound they’ve integrated into this laptop. Tinny little speakers have always been nearly useless in two laptops I have owned; these seem like they would be a huge improvement. My computer is prehistoric–I would love something speedy! i like the simplepass Technology, to remember all my passwords. I love all of them, but SimplePass feature is awesome! we will definitely enjoy the speakers/audio because we always watch a ton of youtube videos! I like the Simple pass feature for my own security ,and the sound quality is great!!!!! the camera will be great for staying in touch with relatives from out of state! also, no one likes a laptop that cooks their thigh- so the CoolSense will be very useful! I like that it has HP CoolSense technology! I like the Simple pass feature for my own security , I like the idea of not having to remember all the passwords, is awesome! I have an old HP right now that is seriously on its last leg. Duct tape and all!! I would love a new one. love the cool sense technology and the beats audio! There are so many features to love! I think my favorite, though, is the Simple Pass feature. I think that’s awesome! I love the idea of the SimplePass. I have a hard time remembering all of my passwords, so that will make things easier for me! The beats audio is a great feature! It’s good to have a lot of hard drive space too. My family would most enjoy the Beat Audio feature, we’re big on music, and good found only makes viewing movies even better 🙂 Love it 😀 also the super speedy processor is awesome too! We love music, so the Beats Audio sounds (no pun intended) AWESOME! awww, too bad im not a US resident! It would be sweeeeeeeet to win the laptop! I’d be most excited about the Intel 2nd Generation Core i7 Processor because I like my laptops fast. Beats audio of course! That is definitely the most important feature…my hubby has been going crazy wanting beats audio since last christmas! Would love love love to win this!!!! I love the HP Truevision Webcam! i like the LED display! I really like the coolsense techinology that it uses since my laptop always overheats. Definitely the fact that there are quad speakers. I love to listen to my music when working on my laptop, but the sound is never great! I know that wouldn’t be a problem with this HP. Being a DJ I think its awesome that this laptop has dual speakers and great sound. Kudos to HP and Intel for this great giveaway! I would love to win this laptop and try out all the new features. Having great sound and a cool sense feature is great. I can’t tell you how many times my laptop gets too hot on my lap. 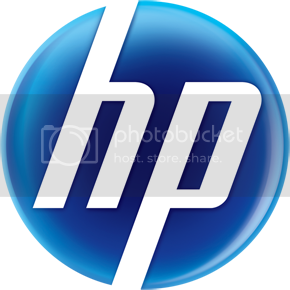 I love the HP display, I love this brand they always innovate in technology.thanks for this giveaway! We’d love the sound on this laptop, as my current, OLD laptop is barely audible! I like that you can have many windows/programs open at the same time without slowing down. The Simple Pass feature sounds really neat, I have alot of different passwords for different sites and it gets confusing it sounds like this tool would be very useful by helping to remember them all for me! I like the feature where you can swipe your finger to engage passwords and such that are unique to you. That would make it great for homes with sharing…I can’t count the times my kdis have gotten my iTunes money, thinking they were signing on to their own account, but really my account was not logged out (or maybe they do that on purpose…hmmm). In any case, the swipe feature would prevent that and be a great safety feature as well. Thanks for the giveaway! I had my e-mail hacked a month or two ago, so the SimplePass technology that protects your passwords with a fingerprint scanner sounds appealing to me! I like the webcam feature … if I won I would give this to my daughter who is living out of state so I could see her more! I’m excited about the HP TrueVision Webcam because it would come in handy with our family all over the country. I think that the thermal assistant software that allows you to choose your cooling preferences is awesome. My laptop is cooking pretty good right now.. I like the Intel Core i7 processor because I usually run more than one program at a time and I need the speed. Loving the cool sense technology. How much cooler can it get! I love that it can handle having multiple windows open at one time. I tend to have several windows open simultaneously due to school, work, and hobby surfing all at the same time. I love music. It’s a must for me everyday. My fave feature is the Beats Audio. Very cool feature my old laptop does not have. I love the simplepass feature do you know how hard it is to remember all these passwords to every site I enter?? My favorite feature has to be the simplepass fingerprint reader! I just think it’s so cool! I like the idea of Cool Sense technology- I’m afraid to leave my phone and other gadgets too close to my current laptop, in case they overheat too. Thanks for the giveaway…we like the HP SimplePass fingerprint scanner for easy password access, and also the hp pavilion dv6′s HP CoolSense which adjusts internal cooling depending on external thermal conditions ! I would have to say the feature that stuck out to me the most that I would love is the Intel 2nd Generation Core i7 Processor. I am like you and open tons of windows. Right now I have 30 tabbed windows open in Firefox and my computer hates me. And can I say WOW, SimplePass is just what I need. I think it is so cool that it works with the finger print reader. This is definitely something new I need to check out. I like the Coolsense technology because it would make the computer work better by not having it over heat and adapting to where you are at. I like the ease of making the keyboard multilingual – My multilingual hubby NEEDS that. I love the Simple Pass feature. It would be much faster and easier than remembering passwords. My favorite feature is the simplepass! I love that it will be a much easier way to remember and input my data and passwords when needed! Thanks for the great reviews and giveaway. The SimplePass button is exactly what I need-I have a brain like a seive and am lucky if I remember half of my passwords! Id like to try the beats audio system, thanks a bunch! My favorite feature is the HP CoolSense. This is very important to keep your laptop from overheating! I have seen this happen to a couple of my friends laptops! True vision webcam w/image sensing technology to get the best quality – I have 2 in college this semester, 1 going next semester and another is a sr in hs and will be going next year- perfect. Love the password feature! And the cooling feature is handy too! Up to 5 hours of Battery life I really like cause that’s very useful and it comes in handy when you’re working away on the pc and that’s why I like it best. My favorite feature is the HP CoolSense. I live in Louisiana and it is so hot here and it is very important to keep your laptop from overheating! I had it happen to me before. The Cool Sense technology! I hate burning my lap! How awesome! I love that it has a Intel 2nd Generation Core i7 Processor. I really like fast computers, I don’t like to wait for things to load! I love the zippy Core i& processor. my netbook needs a healthy does of that! Thank you for the chance to win! I like the Intel Core i7 processor because I’m normally running several programs at once. I love that it’s super fast and that I can leave lots of pages up–with 3 teens we constantly get interupted annd want to just minimize our pages while someone else uses the computer. My favorite feature is that it has a super fast processor. Thank you for the lovely giveaway. I love the HP Cool sense. I like this because every computer I’ve had tends to run hot. I can’t use it only certain places, or it gets too hot and won’t run, or freezes. I love that this HP can sense and adjust the cooling automatically, and like the fact that you can change the settings. Awesome !! Simplepass is the best feature because it would make it so much easier for me with all y passwords! I love the HP SimplePass feature. I hate all the passwords I have to remember. I like that it has the 15.6″ diagonal high-definition Brightview LED display so lil eyes & old eyes can see it equally as well!!!! I like that it can handle multiple windows being open. I like that you can switch keyboard from English to Spanish in one click because I do email my mexican amigos and this would help me with my spanish. I really like the CoolSense Technology because you can actually use it as a “lap” top without feeling the heat! Holey Moley, handsdown my absolute favorite feature is the i7 processor, I’m a multi tasker i always have a bajillion windows going and things running. Definitely need that AMAZING i7! Thanks you for the opportunity! I’m notorious as well for having multiple pages open at the same time and my poor old laptop tends to rebel when this occurs. This is my favorite feature! I am most interested in trying the simplepass technology and it doesn’t hurt that it appears to be a super fast machine!! I’m getting older and the simplepass will help with the fading memory!!! OMG! An i7 processor?!! To die for! I love the power, I generally have lots of windows and applications open as well and craze super fast processors! i love the fingerprint scanner. i ALWAYS forget my passwords so this feature is awesome awesome awesome to have. plus it makes me feel like im in the future or something. Simplepass because I have tons of passwords to remember and need a notebook to keep them all written down. Simplepass would eliminate my need for that. I’m always forgetting my passwords, so SimplePass sounds like a lifesaver for me! I like the Simple Pass feature the best. That fingerprint reader is really cool sounding! I would be very happy about the HP CoolSense technology because I have a thing about my laptop getting too hot. I worry about it shortening the life of the hard drive. This HP would relieve that stress. My favorite features are that it can stand up to my multi tasking as I always have several windows open at once. And the Simple Pass with finger scanner which will be perfect for helping me to keep up with my passwords. I like the 2nd generation Intel Core i7 processor. I love the Simplepass feature because it allows you to store all of your passwords so you don’t forget them! Thanks! My favorite “feature” is actually that it’s an HP which I know I can trust for reliability and technology. The CoolSense feature is awesome as well. I love that it can detect where your computer is being used and automatically adjust the cooling. I like SimplePass the best, keeping track of passwords is a pain! I am excited about the CoolSense Technology. I am constantly working on my couch and after an hour, my legs get really hot. I would love to try this new feature to see if it really works and would help me avoid having to stop working to rest my legs. So many wonderful features to this laptop. I love that one of the features is ” hp SimplePass “. Love that idea! I like the sound experience you describe and I am also one who has 10 or so windows open at once although I can see that my son will use it for college so either way it will be used alot. My favorite feature would have to be the hp TrueVision Webcam – since I’m traveling a lot for work these days, I rely on the computer to stay in touch with my family and friends, and having a high quality webcam on my laptop would make it seem like I’m right there with them when chatting online. Thanks! I really like the cool sense technology because I had a laptop overheat and die once.Thanks for the chance. My favorite feature is the hp simplepass. I really like the feature because Ihave forgotten passwords before and I really don;t like writting them down. This is really a cool feature. I like the simple pass.. I have so many passwords and this would be such a help! I love the 2nd Generation Core i7 Processor!! I would love to try it out! The Intel 2nd Generation Core Processor sounds fast and great, especially since our computer is very slow, it would be great to upgrade. Thanks so much! I love the smartpass/simple pass feature on this laptop, what a great idea, I am sooooooooooo bad at passwords. Thanks for the chance. I like HP CoolSense technology, because it detects where the computer is being used and automatically adjusts the cooling – no worries that it will overheat or burn you! I like the feature of being able to add Spanish to the keyboard. What a nice feature! Really enjoyed reading your reviews, I like the Simplepass system, I think its really cool it reads your fingerprint. The Coolsense technology is great because I have had a lot of issues with overheating before and although those little lap fan desks are great they are a bit bulky and noisy. I love the Simple pass to help me not have to remember my passwords. Great idea! I like that it has alot of memory space for me to store all of my photos! I love how you can have a lot of windows open at once. I usually have 5 or 6 windows open at one time. I really like that cooling technology. I have had problems with overheating in the past. Love the coolsense. Old laptop gets so hot. the truevision webcam would be great to use to keep in touch with my family!!! that keyboard idea, switching between spanish and english with just one click is fantastic. I would really use that alot. the webcam technology looks really impressive and would be nice to have to talk with my family when we are away from each other. my webcam now has stopped working and this would be great to win! this would be a sweet laptop to win. i especially like the coolsense tech because laptops always seem to overheat and heat is a major problem for them. There are so many wonderful features about this notebook but I have to say my favorite is how fast you say it is! What a great giveaway! I love that it has a wireless card built in, and that it connects quickly! My old laptop I use now doesn’t even have a built in card and its annoying to plug in each time i need to use internet. I like that it automatically adjusts the cooling. Very handy!! I love the hp SimplePass. Love how this helps remember passwords. I’m really impressed by the HP CoolSense. My laptop overheats often and it’s one of my biggest concerns. I love the SimplePass feature! How cool. Would love to be able to see it in person when I win the laptop! I love the Beats sound system. Four speakers! I could crank that baby up and listen to my music how its meant to be listened to. Wow, so SimplePass stores your passwords? With just the swipe of your finger it logs you into your favorites sites with your user name and password?? Super cool — I’m constantly resetting my passwords and this would solve my headache! I love the cool sense feature the best because I just can’t stand to have my lap get hot from the laptop. I bought a cooling pad but they can be bulky and it would be so nice to not to have to use one. The feature I like the best is the CoolSense feature That’s what killed our last HPs ;( Glad to see they got it fixed. Simple Pass is amazing. I’d love it because it would save a lot of time by automatically logging in to sites that require passwords. I love the HP SimplePass feature. I have so much stuff that I have to remember that it’s impossible. It would be so nice to have a safe secure way for all that info to be remembered. Thank you! Woah, that detection/cooling system is phenomenal! I work on a laptop at home A LOT, and I hate when I get hot from the computer. I like the Intel 2nd Generation Core i7 Processor I usually wind up with so many windows open. I love the HP SimplePass because I am always forgetting my passwords. I seriously need a machine with great audio, as all my music and movies/tv watching are on my computer. HP’s Beats audio would be a humongus improvement over my current computer! I love the Simple Pass feature with a FINGERPRINT key–so CoooooL!! I like the “HP Cool Sense” technology that you mentioned – my laptop gets kind of hot sometimes and that worries me. I love that you are able to have so many tabs open and it doesn’t faze it! That is a big deal for a serial tabber like me!